Education has long been tied to classrooms full of students, listening to a single presenter elaborate on a subject, and while this approach has its advantages, it definitely has a lot of limitations as well. As technology evolves, more and more of us are getting access to possibilities to study our subjects online. 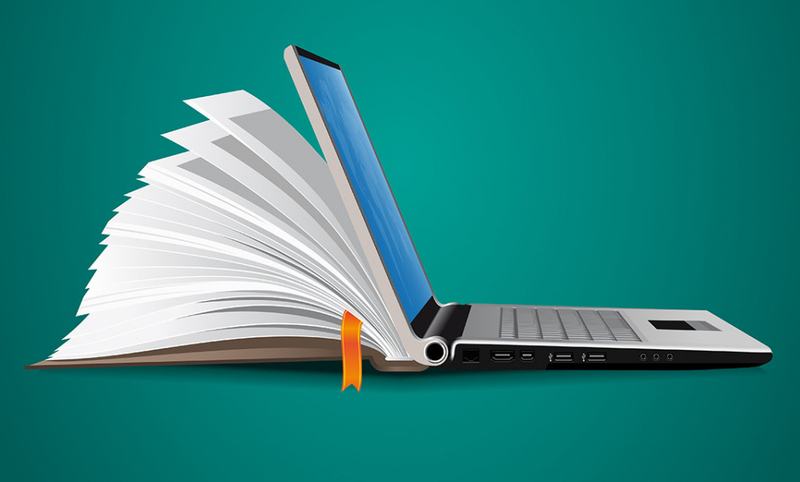 This is referred to as eLearning – using specialized software and an Internet connection to learn remotely, and this has a number of benefits, both for the teacher and the students. First of all, it lets you cut down on costs significantly. A new skill is best learned through practicing it, and many eLearning modules nowadays have built-in simulation systems that can help students teach themselves through trial and error. Simulating these same conditions in real life (in a laboratory, for example) is almost always more costly, and requires a great deal of additional preparation. Additionally, utilizing eLearning can definitely make the entire learning process more efficient and productive, since you and your students are not bound to a particular time and place. Students can learn on their own time and at their own pace, and only contact the teacher when they deem it necessary. As a human resources expert, it is your job to make sure your employees are equipped with the right skill set in order to be able to perform their job adequately and efficiently, and utilizing eLearning might be just the way to do so. Today, we want to talk about some of the most utilized eLearning trends today, and how they can benefit your specific situation. One of the most important aspects of an eLearning system is getting feedback, arranging that feedback into data that will tell you how well it is working for your students. In short, this is called learning analytics – the process of gathering data from your students, whether it is direct feedback, an analysis of the results of their work, or just about anything else. If you don’t have this kind of information, you essentially have no idea how well your students are doing, and whether you need to adjust and improve the learning program to make it more efficient. Various eLearning software now comes with a built-in learning analytics solution, so you don’t have to gather and organize the data yourself. The most you have to do is put together a survey or two for your students to complete, but all the statistical calculations are fortunately handled by the software itself. It’s a huge step up from having to do all of this manually, as it can be quite a time-consuming process, especially if one is not familiar with it. LMS stands for learning management system, and by definition, it is an application for the administration, tracking, documentation, and reporting of various training programs and educational courses. If you want to get into eLearning as fast as possible and use it to educate your workers, finding a good LMS is the first thing you should do. Our personal LMS, Classroom2020 is a great solution if you’re just getting into the world of eLearning since it allows you to quickly and easily pass on your knowledge to your students. Classroom2020 can be used to create entire lessons in but a fraction of the time that it would take you to create one manually. When the time comes, the LMS can help you create a test to see how quickly your workers are progressing with the course using its powerful test generator algorithm. And finally, the LMS helps you get feedback for your work by gathering all sorts of statistical data and organizing it so it is simple to read and understand, so you’re completely aware of which aspects of the course need to be rectified and improved. As we already mentioned, your LMS of choice will likely have a built-in test-making algorithm that will probably work just fine, but if you for any reason require some more sophisticated features, you might want to opt out for a dedicated testing application. This will sometimes work much better and allow you to create tests of higher quality, and for that purpose, we highly recommend that you check out GetCertified. Whether you want your test to be automatically generated or create a test manually from scratch, GetCertified can do all that and more. If you opt out for the manual method, there are still tons of templates that you can choose from to make your job easier. After the testing is finished, GetCertified can provide you with certificates that you can give out to the students who successfully complete the course. These are just some of the features that any good testing software is bound to possess, and once you learn to utilize it, we guarantee that you’ll be able to generate hundreds of high-quality tests to properly evaluate the progress of your students. While the classic classroom approach is still somewhat dominant in the world of education, eLearning is definitely the future with more and more people switching to it. As the tech improves further and becomes more user-friendly, eLearning is sure to gain more popularity, so it’s a good idea to get acquainted with the concept as soon as possible. It’s really a great way to improve the entire learning process, and no matter who you are, we guarantee that you as an educator can yield some sort of benefit from using it. What Great HR Managers do Differently? © Copyright - YouTestMe 2019.